Marc has strong skills of implementing and managing change. For the past 23 years he has worked with managers using mediation, training and coaching to improve their communication and leadership skills. His expertise includes management training and self-development, conflict management and resolution, action training, coaching. 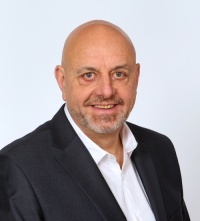 He is an experienced corporate coach & facilitator and has over 20 years experience of working in the private & public sectors in the France & Europe. Certificat d’Aptitude à la Profession de Médiateur. Delivered by the “Chambre professionnelle de la médiation et de la négociation. Facilitator in Augusto Boal’s technics of the “Oppressed Theatre”. Conflict resolution technics for groups, based on skills developed by Augusto Boal’s. Certified as a trainer for the Inscape DISC profiler.